This was a dinner organised with the same lovely bunch as attended a Barolo 2004 dinner at Zucca back in July. It seemed logical to follow the Barolos with Tuscans. 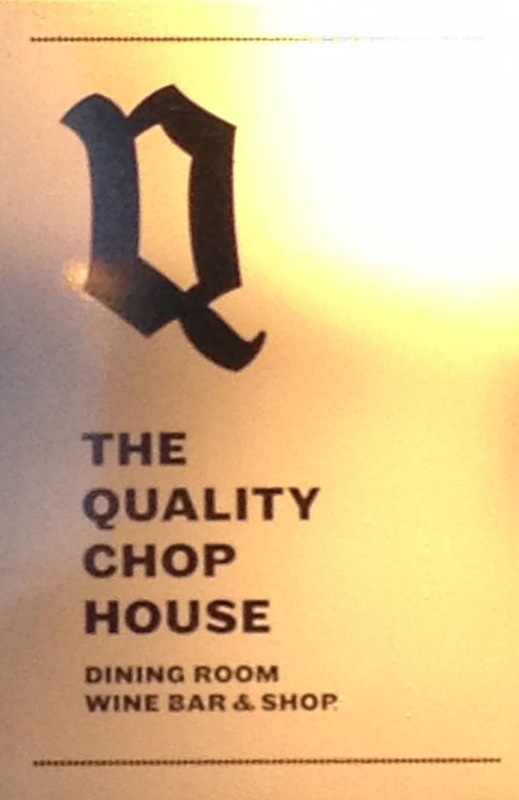 We all gathered at The Quality Chop House and each with the instruction to bring a bottle of our choosing. 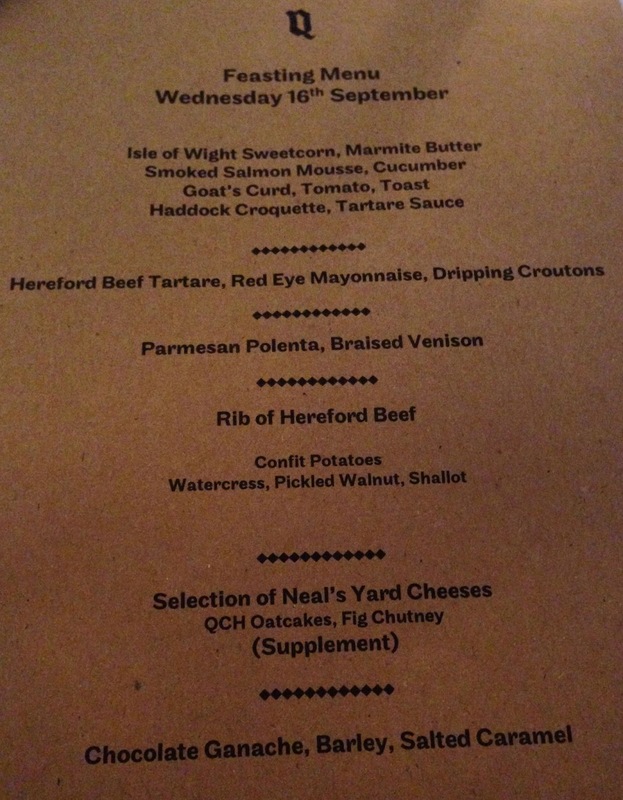 We were very well looked after through the evening with a menu as shown below. The food was all simple, delicious and complemented the wines well. I think I’ll take my son, Charlie, there soon – just his sort of place! The organiser – Mr Gossip on this occasion – gets to bring the aperitif. We kicked off with 2011 Batar from Querciabella. This is a wine I have definitely had, and enjoyed, before though I can find no reference of it on this blog at all which is odd. This was quite rich but also very savoury and dry when cold, it really opened out with time and actually I think I preferred it when it was almost at room temperature. It will certainly repay 3-4 more years cellaring and beyond. The blend is a fairly “different” one being 50% Chardonnay and 50% Pinot Blanc. It was a nice opener and deserved the 93 its it gets from Galloni. This brings me onto one odd thing about the evening, more than half the wines get 93pts and that made it an interesting tasting as you can analyse that taster as well as the wines. I am not a big one for scores but it was an interesting aside. We were now ready to start the 2004’s. A little look at the vintage suggests it was the opposite of the extremes of 2003. There was a fair bit of work to do in the vineyards and green harvesting seems to have been repaid but all in all it was not a vintage of extremes, balance is always good so hopefully that would show in the wines. The wines were served in pairs and with the traditional varietals first. I have scored them out of twenty for my own benefit as much as anything. The next pair was interesting as I had both wines at an Ornellaia 1990-2010 tasting before and enjoyed them. 2004 Serre Nuove – Rich and a shade doughy on the nose but then really good with quite saturated dark fruits on the palate, this was impressive and really quite serious. 17.5 (a little higher than last time). 2004 Sassicaia – Sadly this was just not a good bottle, not corked but just bruised, a little volatile and prematurely degraded. No score. 2004 Messorio Macchiole – In the absence of Masseto (a little out of the wine trades price range) this was to be the 100% Merlot. 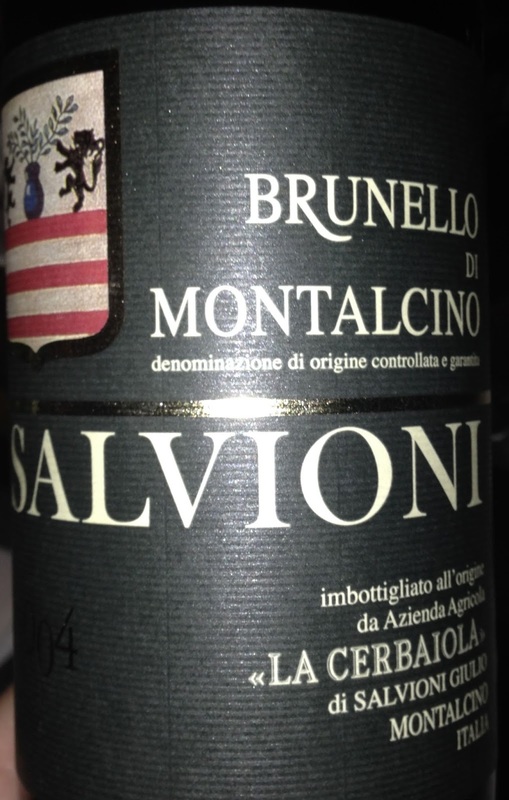 There was a nose of dry balsamic notes followed by lush fruit and quite a bit of richness. Somehow I found it a little bit much. 16.5. 2004 Tenuta di Trinoro – This was my bottle so watch out for bias. I have tasted through quite a few vintages down the years but never the 2004 as far as I can see or remember. This has almost tropical fruits and a vigorous youth with a sweet texture and very fresh but youthful appeal. I really liked it. 17.5-18. By consensus the next evening for the group is Bordeaux 2005 under a certain price point (£50 a bottle say) of release…should be interesting!